The design is grounded in family connections; healthy living and responds to the needs of aging in place. 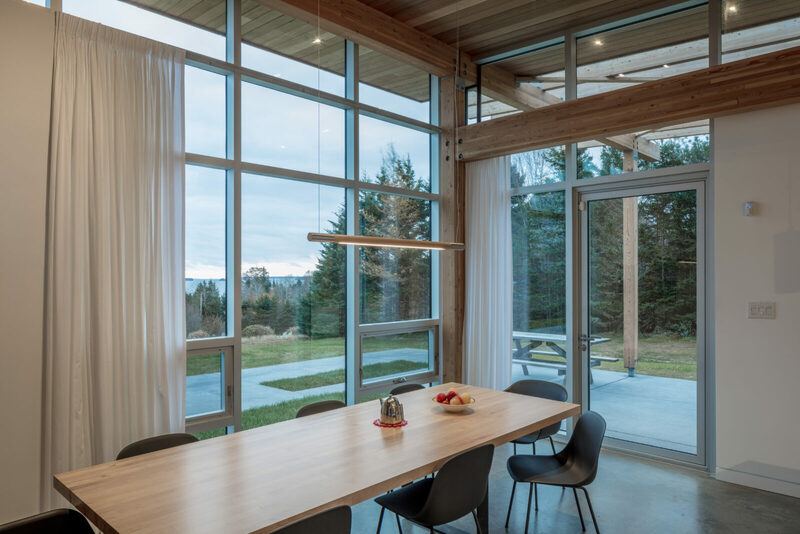 "Our clients really wanted a home that integrates seamlessly with this spectacular landscape," said Susan Fitzgerald, lead architect on this project and Partner at FBM. "Family time is important to them as well as the quiet moments on their own – and home works well for multiple activities." 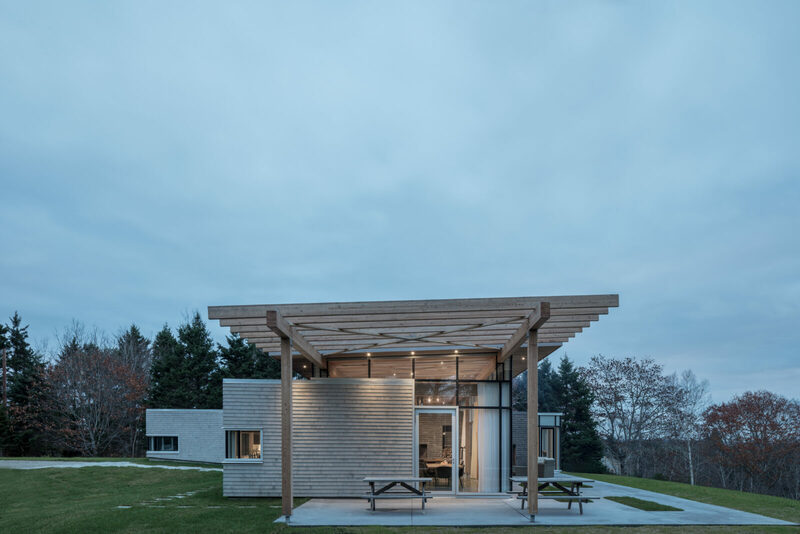 Consisting of a main house and an out-building containing a dwelling and a workshop, the project understands work, of many types, as an integral part of living. The program of the main house includes two bedrooms; a living space that is a changing gallery that celebrates family artists; space for gathering and games; a kitchen where cooking and canning are multi-generational activities; a large dining area for family celebrations; and a sewing room for elaborate crafts. Centred around evolving family activities the home supports everyday culture that evokes what is best about daily life. 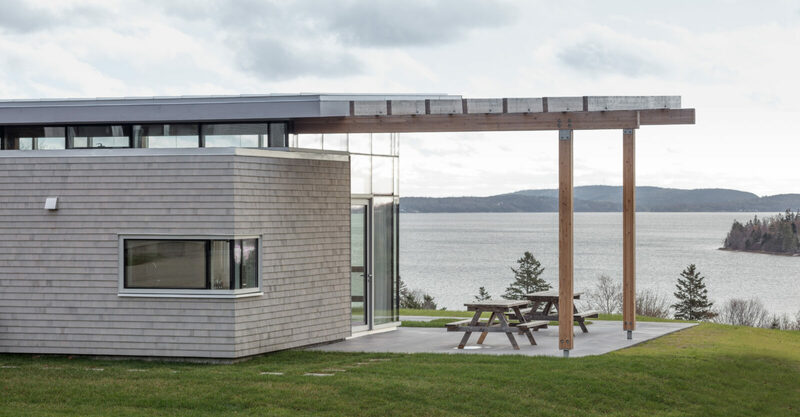 Lightly sited within a meadow in Scotch Cove in East Chester, Nova Scotia at the edge of the ocean, the dwelling frames the spectacular views of Graves Island and the Tancooks. In conjunction with the out-building a sheltered forecourt is formed for parking cars, washer toss, and croquet. 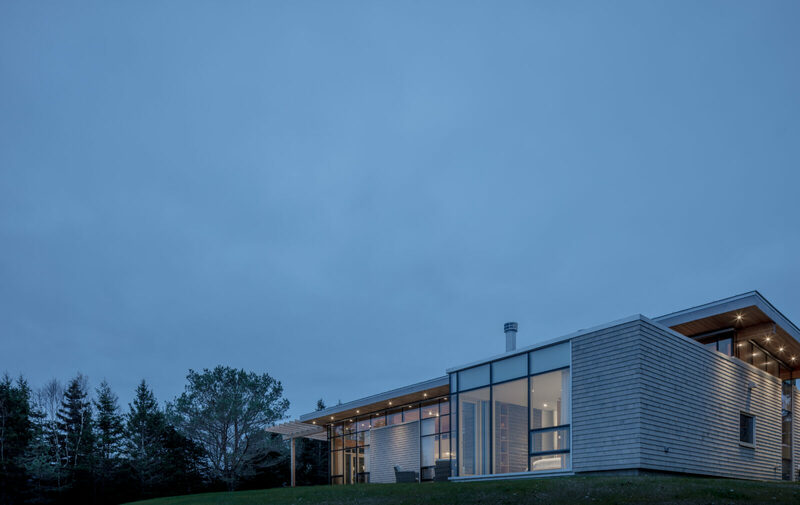 Within the out-building, the second storey dwelling space peeks above the house’s vegetated and metal roofs to ocean views. 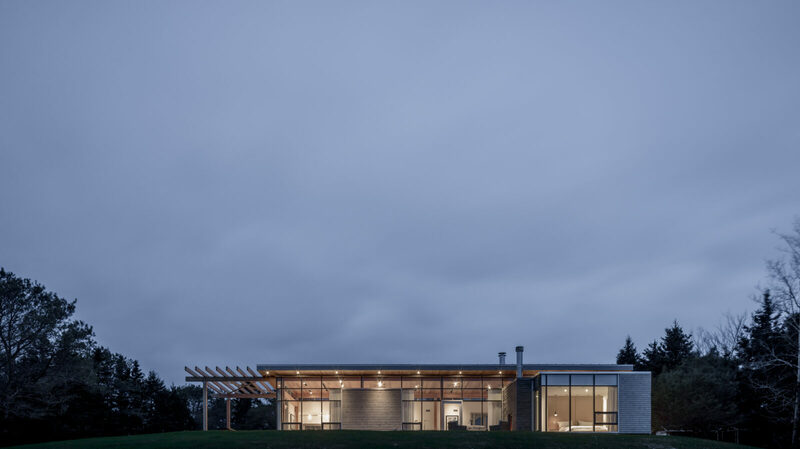 Multiple elements within the house extend dwelling out into the bucolic ocean landscape. The interior concrete floors reach outside to create an at grade patio complete with kitchen herb garden. 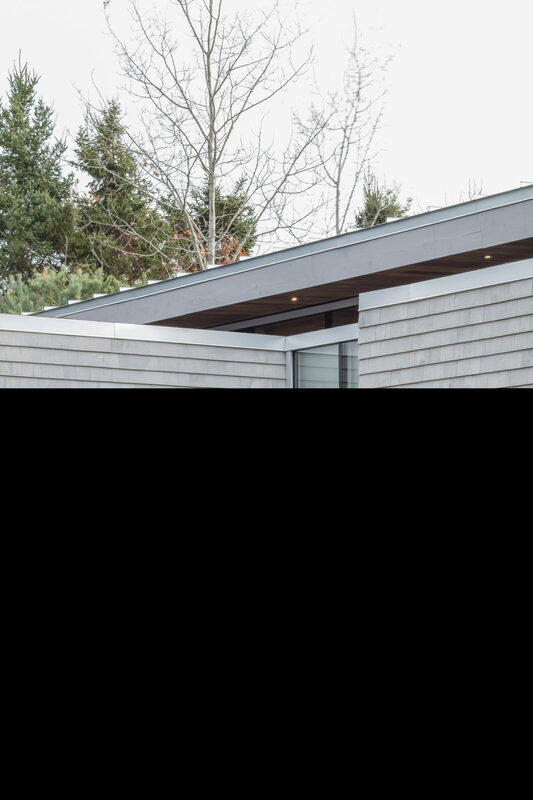 The roof and cedar soffit float above a clerestory with continuous views of the sky around the home, important to the sailors in the family. The stone element, housing the indoor and outdoor fireplace, slides out of the façade to create interior and exterior sitting areas. 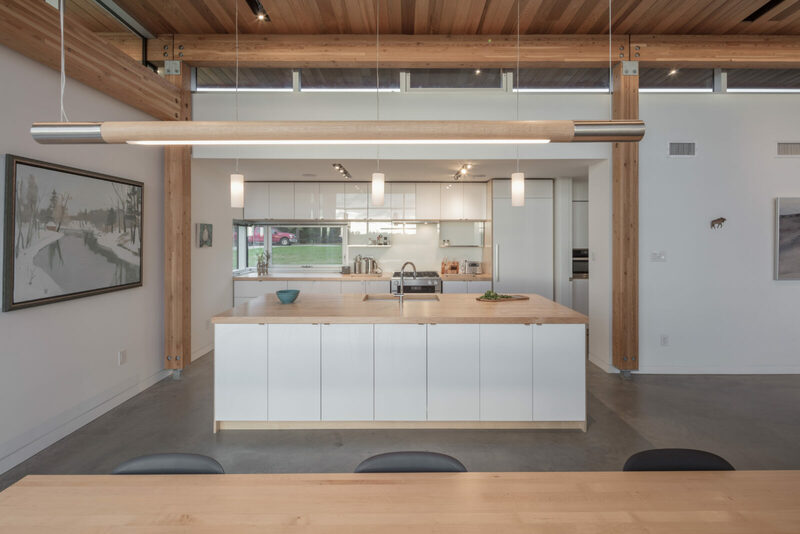 The laminated timber structure marches through the building and across the site shaping the spaces under it to form a covered barbequing area to the south of the home. Sustainability is an integral part of the project as an evolving container for living and by prioritizing local materials and trades. Environmentally, the building has overhangs to calibrate solar gain. Thermal mass within the concrete floors absorb winter sun for passive heat. The triple glazing and increased insulation enhance the thermal envelope. While the narrow cross section and high and low operators increase ventilation from ocean breezes. 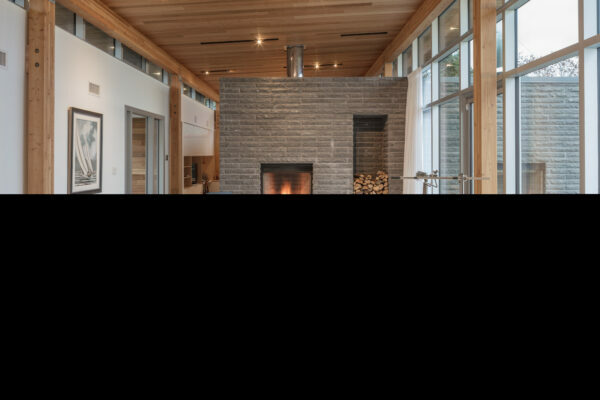 "This beautiful home is the result of close collaboration between our team, our client and the builder," said Fitzgerald. "We were all committed to shared values that included: siting the building to enhance views and minimize earth disturbance; understanding the precision between craft, materials, and details; and a respect for budget and schedule.